Kristy Cambron's Lost Castle series continues with this Ireland-inspired tale. Like the first book in the series, this is a split-time novel featuring three separate timelines, characters, and plots. In the late 1700s our heroine is Maeve, largely running her family's estate and trying to be a generous mistress, including rescuing strangers who are found wounded in nearby fields. The middle storyline focuses on the 1916 Easter Rising, with young photographer Issy wanting to join the fight for freedom. Our current day setting brings us Laine, a hurting divorcee with a small daughter whose unplanned visit to Ireland may end up bringing hope and healing to both of them. Having found the timeline in "The Lost Castle" confusing to follow, "Castle on the Rise" is truly refreshing in its straightforward chronology. The historical stories grabbed me right away, and I also felt for Laine and the burden of the secrets she was keeping. However, much like the first book, I felt too much was lost trying to pack three stories into one. I love learning history through fiction, but it seemed the rebellions of 1798 and 1916 as Cambron tried to describe them lacked context, and the real life people and places lacked impact because they were not developed enough on the page. I felt Issy's story was the strongest and that I could have gathered so much more of Ireland's struggle if only it had a chance to truly grow and blossom here. My other main complaint was that even basic conversations were difficult to follow because none of the characters' motivations were very clear. I often had no idea why any two characters would be having the conversations as presented in the story. It is clear that Cambron loves Ireland and wished to honor this country and its fight for freedom. Her description of the location were beautifully done. Perhaps other readers would be able to enjoy the split-time approach more than I this time. I received my copy of the book from the publisher. All opinions in this review are my own. They were once teenage friends together. Now back in each other's presence for the first time in ten years, the carefully guarded secrets of the past threaten to rise to the surface and destroy their fragile attempts at reconnecting. Elle never wanted to go back to her hometown and face her demons, but her fiance's family insisted that a destination wedding at the place where they first met would be romantic. In fact, her fiance's family is insisting on a lot of things that Elle wishes they would leave alone. She desperately wants to marry Travis, but she fears if the truth about her ever becomes known he and his affluent family will drop her like a hot potato. Tucker spent years chasing everything he thought might make him happy - specifically women, thrilling adventures, and alcohol. Awash with guilt and emptiness, he eventually found Jesus, and even though he feels unworthy he seeks to serve Him faithfully. Still, returning to the place of his sister's tragic death and facing his old friends feels like it might be more than he can handle. Lyndie is a successful but emotionally unavailable songwriter. She really wishes she had said no when Elle asked her to be her maid of honor, especially since the wedding falls on the same week as the ten-year anniversary of Tucker's sister's death. Her carefully guarded heart is in danger of being exposed unless she doubles down on her facade. Each harboring guilt and shame, these three return to the site of their best memories and deepest regrets. I thought Courtney Walsh did a great job bringing each character to life, drawing a complex and hopeful story out of this web of secrets. Some of the things the characters are harboring are fairly easy to guess, but others caught me by surprise when they were revealed. Truth and hope and forgiveness are waiting to shine through - but only after the bravery of speaking the things that have been left unsaid in their lives. From the outside looking in, Willow Bradford's life looks perfect - and that's the way she likes it! She's from a happy, wealthy family and has a successful modeling career. Everything that she can control about her life is beautiful and smooth. But she can't control the fact that she struggles with her mom's abandonment, or that Corbin Stewart, her one big regret and the man she's never forgiven, is back in her life. When our story opens Willow is on sabbatical from modeling, taking care of her stepmother's bed and breakfast for a few months. She's enjoying the slower pace and the chance to spend more time with her sisters. She reluctantly agrees to see Corbin when his young niece wants to meet her, and can't help but be drawn in by the mystery Charlotte asks her to help solve. Corbin has had a tumultuous year. A jarring injury ended his career as a professional quarterback. A team chaplain helped him through his depression and led him to Christ. Now he's in Washington state for extensive shoulder rehab, and face to face with the gorgeous but aloof Willow for the first time in four years, asking for her help for Charlotte's sake. Charlotte just discovered a family secret - her great-aunt Josephine went missing in 1977 and has never been heard from again. In her 12-year-old eagerness, she is certain she can crack this mystery even though it has been a cold case for four decades. Willow, Corbin, and Charlotte work to connect the dots and turn over leaves, hoping for some measure of closure for Josephine's family. Meanwhile the time together offers Corbin and Willow the chance to talk about their intense breakup and to evaluate if there might be room for love to rekindle in the future. I enjoyed this book a lot! The mystery was quite well-done, with many twists and turns. There were two scenes with some tactful yet frank moments, which were completely relevant and necessary to the plot, but I wouldn't recommend this for readers under 16 years old for that reason. I thought the faith aspect of the story was especially moving, and I related to Willow a lot more than I expected to. Out of the Becky Wade stories I've read, this one is my favorite! Kate Dearborne has loved growing up in a weaver's family. From a young age she's helped set dyes and do whatever she could to assist her father and brother. But times are changing with the ongoing Industrial Revolution, and cloth mills are quickly making the weavers' business obsolete. Kate's own beloved brother has left the family to work for Stockton Mill, and her father has never forgiven him for it, nor spoken to him in three years. While Kate has no ill will against the millers, and has kept up her relationship with her brother Charles, she's fiercely loyal to her father and generally keeps her association to those within the weaving community. Returning home after years serving his country in war, Henry Stockton sees the village of Amberdale with new eyes. He's ready to learn from his grandfather and prepare to take over Stockton Mill one day. Yet the people and activities that once captured his attention no longer do so. He's aware that everyone expects him to continue pursuing Frederica Pennington, but his time away has changed him enough that he desires more than a marriage of alliance between powerful mill families. Henry and Kate soon find themselves in an Amberdale that is upturned, as violence breaks out between the weavers and millers. Loyalties will be tested on all sides, and right and wrong must be weighed anew. Kate's past and her future hopes lie solidly with the weavers, but her heart is drawing her in another direction. Meanwhile, Henry sees in Kate someone who can help him find peace and healing in his war-torn spirit. This book would appeal to anyone who is familiar with Elizabeth Gaskell's North and South, and I thought I caught tones of Poldark, as well as Romeo and Juliet. The story takes a bit of time getting off the ground, but once the action begins you'll find yourself glued to the pages. This is another delightful Regency tale from Sarah E. Ladd! 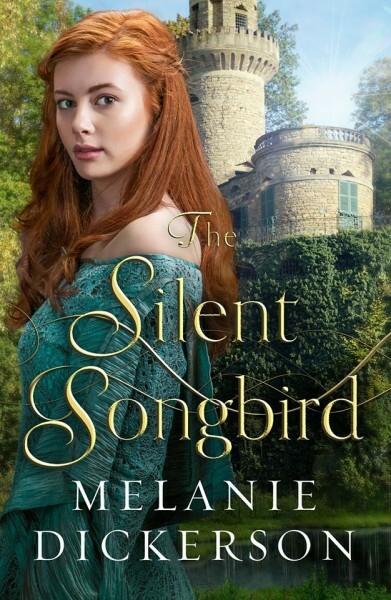 "The Lost Castle" is a tale of The Sleeping Beauty in the Loire Valley - a castle that has kept its tales close to home through many generations. 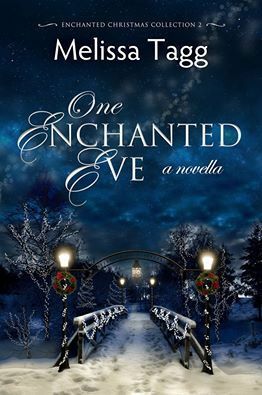 Now Ellie Carver is on a quest to uncover them all, guided only by the knowledge that once upon a time her grandmother lived and loved in its proximity. Now that Grandma Vi is being stolen from her due to Alzheimer's, Ellie's journey to France feels like a mission of utmost importance. Running alongside Ellie's story is that of Viola Hart in 1944 - 'Grandma Vi' when she was still a young girl herself. With WWII having changed everything for London families, Viola is recruited to be a linguist for Britain's Special Operations. Things take an unexpected turn when she winds up in Nazi-occupied France working under threat of her life every day. A third storyline takes place during the French Revolution. Aveline is a woman of noble birth who is on the eve of marrying the elder son of one of the richest dukes in France. She herself is not so interested in wealth, but with politics and finding a way to break down the walls between the aristocracy and the lower classes. She's been conditioned to keep this part of her heart under wraps. Before she can meet her betrothed face to face, a fire at his castle injures Aveline and leaves her in the care of the workers of the estate. As the war progresses, can Aveline be a part of building together the things that are good and right about mankind no matter their rank or station? I have to say that having three different storylines in three different time periods with three sets of major and minor characters was a bit much for this reader, especially because within each storyine was a fair amount of flashbacks, making its already tenuous chronology even harder to follow. Each individual story felt shallow because it didn't have its full chance to expand and grow, being compressed by the others demanding their own share of the pages. I felt that Aveline's story would have worked very nicely as a prequel novella, so that those of Vi and Ellie could have had more depth. There were a few other things that detracted from my full enjoyment of this book, but I do like Kristy Cambron a lot and fully plan to read more of her stories in the future. This book's personality just didn't suit my own, and that's no one's fault at all. It's always fun to look back at my favorite books on the year! It was hard to select only one for each genre, as there were so many good reads from 2017. You can click on any of the titles below to read my full review. This story set in 1927 in Mt. Rainier National Park has all the charm of classic literature, including a heroine who is a true lady while also standing up for what she believes. I revisited these childhood favorites and thoroughly enjoyed them! This is a six-book series about a group of teens participating in a summer basketball league. It's all about fun, faith, and friendship! The sole survivor of a terrorist bombing tries to come to terms with her new lease on life while being wracked with guilt that she lived when others did not. Very thought-provoking and well-written. While this is supposed to be a book on prayer, I found it more to be a book on walking confidently and securely as God's child. So much good encouragement! This tale may be short, but it is packed full of wonderful lines and thoughtful reminiscing. Ebeneezer Scrooge's gratefulness to be alive and able to change his ways gets me every time! Delightful characters with emotional depth set in a charming fictional small town. The whole Enchanted Christmas Collection is a real gem! Engineer Mary Davies fears she's going to be fired, and she finds herself closing off from those around her. Even Nathan, the nice consultant guy who keeps offering his friendship no matter how many times she awkwardly fails to communicate her own interest. In the middle of feeling stuck and disappointed, Isabel - her best friend since childhood - manages to convince Mary to take a trip to England. More specifically, the getaway is to a lavish estate near Bath where they can dress up as Austen characters and step back into time. Isabel and Mary have had a rocky relationship. Isabel has often steered their friendship, and she tends to lead with emotion, lashing out when she is feeling pain, anger, or frustration. Mary suggests that her friend take on the persona of Isabella Thorpe while on their vacation, and Isabel goes into a pout. Eventually Isabel decides to be Emma Woodhouse, and Mary chooses Catherine Morland. Everything is exciting and wonderful as the women arrive at Braithwaite House. The grounds are breathtaking and the costumes beyond imagination. There is a small group of people who have come to share this holiday, and Mary and Isabel enjoy getting to know them that first night. But when Mary wakes up the next morning, everything changes. Something is wrong with Isabel, and Mary is all alone in a strange country trying to care for her friend. A phone call further shatters everything Mary has believed about their relationship. Will the help Mary is offered be enough to sustain her through this time? Can she grasp that she is worthy of love and attention not just as Isabel's sidekick but as a woman in her own right? I definitely enjoyed this one more than any other of Reay's releases since Dear Mr. Knightley. As a fan of Austenland, I appreciated all the nods to that story. This made for a fine and engaging Austenesque read, even if I didn't like all the characters all the time. Mary made for a different heroine and I appreciated the complex way she was written. I can see myself reading this one again in the future! Readers and fans have been waiting a long time for this final installment in the Walker Family series. We first met Raegan and Bear in the prequel novella Three Little Words, and followed them as minor characters through the stories of Walker siblings Kate, Logan, and Beckett. Raegan is the only Walker sibling who has never left home, keeping things lively in Maple Valley as she works her multiple part-time jobs, enjoys the wisdom of her father, and tries not to think too much about the man who broke her heart when he moved to Brazil. South America has not been as kind to Bear as he was hoping it would be. Hounded by guilt and shame, this was supposed to be his way of righting wrongs from the past. The mission board sees otherwise, and Bear finds himself back in the States with the suggestion that he take care of the issues that keep coming up. Everything gets ten times more complicated when he's asked to take charge of his niece and nephew for a while. Knowing he at least has an apartment in Maple Valley, Bear loads the kids in his rental car and heads to Iowa. Raegan has done her best to keep her life stable, with only a modicum of necessary change, and that seems to have helped her debilitating panic attacks. Her heart cries out for more, and Rae is beginning to explore her forgotten passion of making art. She is shocked when an opportunity comes up that would bring her art into the public eye, if she only has the courage to say yes. She needs courage for so very many things. I think this may be my new favorite of Melissa Tagg's books, which is really saying something! Raegan's decision to go to counseling and address her anxiety plumbs deep into issues that readers might recognize from their own lives. This line about Bear really struck a chord in me: "Did he even know how to operate without carrying the world on his shoulders?" This novel is about two people with their fears, insecurities, desires, and dreams, and their journey to bridge the broken pieces of who they are into the people God is calling them to be. There's romance, there's suspense, there's Maple Valley charm. I loved this book and feel like all of Melissa's fans would feel the same way. We've been blessed to know the Walkers, and they will forever have a home on my bookshelf. Art restorer Emily Price and Italian chef Ben Vassallo are both visiting Atlanta when they meet and quickly fall in love. Emily has never felt so special - she's had to be the older, responsible sister ever since her parents divorced, and her younger sister Amy has always held the spotlight. Ben is unlike anyone she's ever met, and when after a two-week courtship Ben asks her to marry him and move to Italy with him, it feels right in Emily's heart. They are married and on a flight to Florence only sixteen days after meeting. I'm going to go ahead and say that this life choice of Emily's is one that I would never make, and while I had been pretty excited about the book up until this twist in the plot, it was easy to see that the transition from "art restorer and aspiring artist" to "pizza maker's wife" wasn't going to be an easy one. In fact, I felt like Emily quickly got lost in this book. It seemed as though the title should have been "A Portrait of the Vassallo Family," as that would have more accurately described the majority of this novel, with the focus changing so dramatically. It becomes largely about Ben's family: their traditions, their relationships, their lurking secrets. I will say that this was my favorite of Katherine Reay's releases since her much-beloved debut Dear Mr. Knightley. However, I felt like the book was missing several things, including a relatable theme and a faith aspect. Overall I enjoyed it but was left unsatisfied. 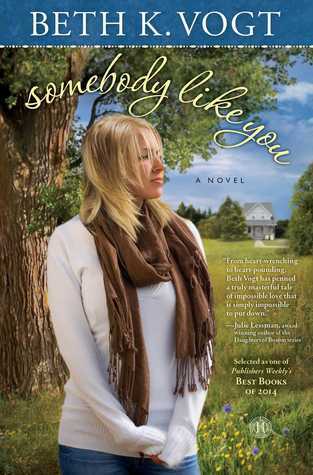 This reader hopes to find better things in Reay's upcoming releases. Willow Tree Cafe represents everything to Robin - her plans, her dreams, her hopes. She opened it after her young husband's unexpected death, and it has kept her going through her grieving process. Now condominium developer Ian McKay wants to buy out Willow Tree and the surrounding businesses in order to put in a new project for his father's company. Robin's a fighter who isn't about to give up everything so quickly. One thing I liked about this novel was that it took the main characters a while to come to understand each other. This isn't a "love at first sight" story, which felt refreshing. One thing I didn't like about the book was that it seemed to be lacking the Katie Ganshert depth and insight I've come to expect from her more recent releases. A Broken Kind of Beautiful is about a fashion model who finds herself floundering when the only identity she's ever known is slipping from her grasp. The Art of Losing Yourself is the story of two sisters raised by an abusive mother and how each took their pain and let it shape them in very different ways. Life After tells of one young woman's journey after being the sole survivor of a bombing. Each of those stories so unique and packs an emotional intensity that I felt was lacking here. This was Ganshert's sophomore release and I can tell she has grown since then. I would highly recommend each and every one of the novels linked above, and I can't wait to see what Katie is going to publish next! "Right Where We Belong" is a collection of novellas set in the authors' favorite fictional towns. As a huge fan of Melissa Tagg and her stories set in Maple Valley, I've been waiting for this release for several months. Here's a brief look at each of the tales in this compilation. I have been drawn to Katie Ganshert's vulnerable writing style ever since I was first introduced to her, and "Life After" is a wonderful addition to her published works. With much depth and feeling, Katie explores what it means to continue living when your reality has been shattered beyond recognition. Autumn Manning was taking the train home one spring evening when a bomb went off. Twenty-two people were killed in the blast. Autumn was the only survivor. 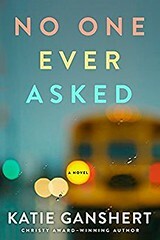 This novel picks up on the one-year anniversary of the bombing, and while Autumn has healed physically, she remains broken and scarred emotionally. She feels unable to move on with life in any form, even though circumstances are going to force her to confront certain things, like the fact that after next month she will no longer be able to pay her rent. The time has come to consider getting a job and going out in public again. Her reintroduction to society is sped up when a 12-year-old girl knocks on her door. It's Reese, a girl who lost her mom in the train explosion and who has been writing letters to Autumn all throughout the last year. Desperate in her own way for help and healing, Reese has come to Autumn in hopes that they can find something in a relationship with each other. Reese's father, Paul Elliott, can't believe his daughter has chosen Autumn Manning, of all people, to seek out. The more he tries to refocus his daughter away from the woman she has obsessed over, the more Reese shuts him out. He wants to help his daughter, yet is Autumn really the right person? At Reese's suggestion, Autumn begins putting together a video tribute for the victims of the bombing. This means contacting each family and sitting down for an interview. To Autumn's surprise this actually goes much smoother than she is expecting, but Paul pulls Reese away from the project and is adamant that their family will not be taking part. As the big day approaches for the video memorial's big screening, will Paul and Autumn be able to get on the same page? Will Reese be able to accept the things she can change and the things she can't? I had a very hard time putting this novel down. It was very thought-provoking and gripping, even with such somber subject matter. Secrets and pain played a big part in the plot, but so did learning about life in the midst of tragedy. This is a story I won't be forgetting, and one I look forward to rereading in the future. I received an advanced reading copy of this book from the publisher. All opinions in this review are my own. 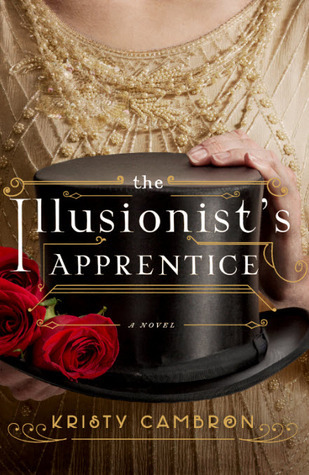 Having read all of Kristy Cambron's previous releases, I thought I knew what I was in for with this Jazz Age, Houdini-inspired novel. I was wrong. The story broke the mold of her former novels, and through its dark and mysterious tone what shone through most brightly was light and hope. Our story opens at a cemetery on New Year's Eve in 1926, just a few months after Harry Houdini's death. Another illusionist has declared that he will raise a man named Victor Peale from the dead, and the cemetery is full of media representatives and curious onlookers. Also in the crowd is FBI Agent Elliot Matthews, sent to keep an eye on everything. In a grand show, it does appear that Victor Peale, dead twenty years, rises from his grave -- and promptly keels over again, dead and gone for good. Agent Matthews controls the situation and begins an investigation that will take him deep into vaudeville's captivation with illusion and spiritualism. In the crowd that day Elliot had noticed one Wren Lockhart, a former apprentice of Houdini who is an illusionist in her own right. When he discovers a link between Victor Peale and Wren, he must convince the isolated and guarded woman to share what she knows, even though it means digging deep into a past she wants to keep hidden. Wren's troubled family background and years of living the vaudeville circuit have left her excellent at projecting her aloof and intimidating demeanor. She doesn't want to get involved with the FBI, but she also doesn't want frauds and tricksters deceiving the public into thinking raising the dead is a thing one can do. She was with Houdini as he debunked such people in the past, and she grudgingly agrees to help Elliot for the sake of her mentor and to keep the authorities from prying more than they have to. Some of my favorite quotes were about heroes. The theme of being a hero was strong in the second half of the novel, which also resonated with me. From Chapter 18: "Our mother used to say that a hero doesn't always have to slay a dragon to save the day. Sometimes he just walks through the fire alongside you, and that's enough." And from page 287: "If there was no darkness, there would be no opportunity for light to overcome it. This is the time for heroes to rise, okay?" This story was not what I expected. It was more, and it will stay with me for a long time. I received my copy of this book from the publisher. All opinions in this review are my own. Stephen Ames became estranged from his identical twin brother when they were 18 years old, after half a dozen tumultuous years when they were lived in separate states following their parents' divorce. He wasn't happy that Sam decided to join the military instead of following through on their plans to go to college together, and then one thing led to another so that they stopped speaking to each other altogether. When Sam is killed on deployment in Afghanistan, Stephen feels the weight of regret. Wanting to get to know more about his brother's final years, he seeks out Sam's widow to ask questions and try to make up for missing so many years. But there's one thing he didn't count on, and that was that Sam had never told Haley about Stephen! Living day to day trying to adjust to widowhood and the idea of being a single mother to her unborn baby, Haley is so shocked to learn about her husband's identical twin that she pulls a gun on him the first time he shows up. There were many things that were not perfect about their marriage, including Sam's frequent deployments, but she never guessed that he would have held back such pertinent information about his childhood. 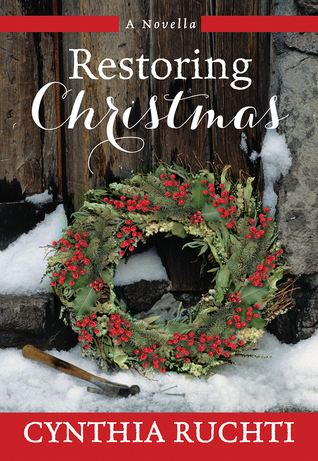 At first Haley wants nothing to do with Stephen, as it's too hard and strange to see the mirror of her husband, but he persists in showing up, bringing gifts for the baby, and helping with projects around the house. 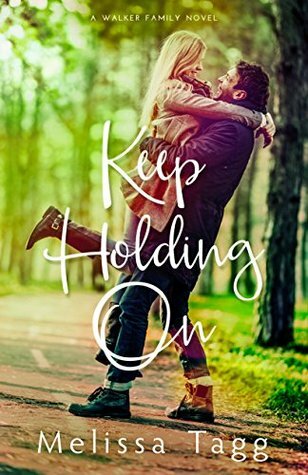 Haley is an independent, tough-it-out tomboy, but Stephen can see that underneath the strength there's a woman who really needs help making sense of this time of her life. As he begins to understand why his brother fell in love with her, he fears she'll never be able to look at him and see anything other than Sam and the shadows that marred their marriage. This book was a little bit slow taking off, as the characters have a lot of walls around their hearts. As the plot draws you in and the walls start coming down, I found the story impossible to put down and ended up reading the last 150 pages in one sitting. The themes were deep and thoughtful, especially having an estrangement in my own family, and the story was well-written. I quite enjoy Beth. K Vogt's contemporary fiction. Here are my favorite reads from 2016! I hope you'll check some of them out for yourself. Click on any title to read my full review. 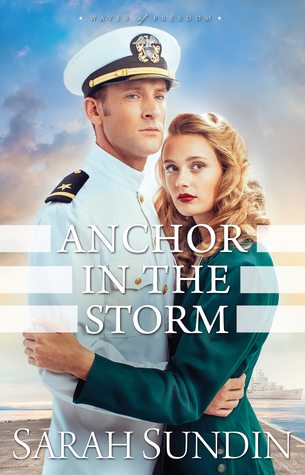 This World War II story focuses on a plucky female pharmacist and a Naval officer as they try to uncover a drug ring operating out of Boston Harbor. A captivating retelling of The Little Mermaid, Melanie Dickerson again proves her brilliance as a fairy tale writer. I loved the depth of the characters, and I really related to one of them in particular. I just love Melissa Tagg's stories!! I've got to go with the autobiographies of two Olympians here! Weren't the Rio Olympics exciting?? 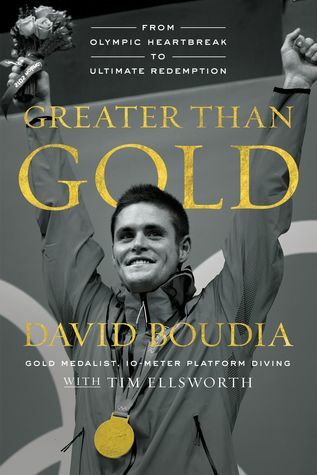 David's journey from an active tot to a world class diver, and how he found Jesus along the way. 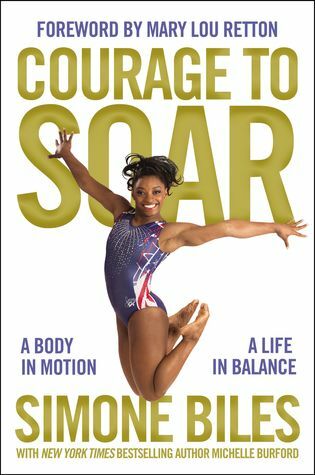 Leader of the Final Five and winner of five medals in Rio, this 4'9" gymnastics wonder shares her story from adoption to training to topping the podium. 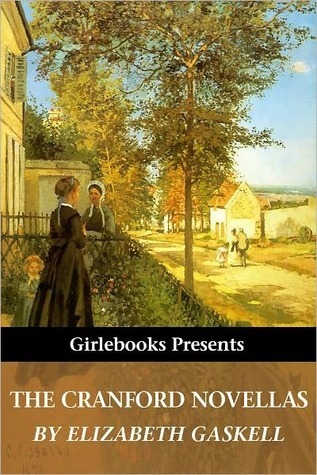 This short novel, from which part of the miniseries Cranford was drawn, is laugh-out-loud funny and encompasses the delights of a small English village. This category has two winners as well, because I couldn't choose between these two delightful Christmas stories. If you enjoy competitive baking shows, you'll love this story of a down-on-her-luck baker and her quest to find one wow-worthy recipe to land her dream job. All Alexis needs for Christmas is her home remodel to go well. When everything goes wrong it may be time to reevaluate the true meaning of Christmas. 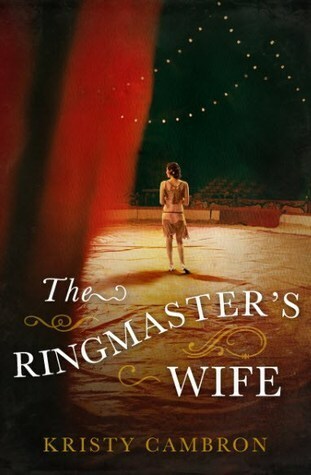 This Jazz Age tale tells the story of Mable Ringling, wife of famous circus master John Ringling. From her humble upbringing as a dreamer in Ohio to being part of the greatest show on earth, Mable's life is testament to those who think big and have the courage to try something new. Told alongisde is the journey of fictional character Lady Rosamund Easling, a gifted horsewoman who forsakes her homeland when she is about to be forced into a marriage to help her father's estate. Her beloved horse was being sold to the Ringling Brothers Circus, and Rosamund goes along to make sure Ingenue is properly settled. But circus manager Colin Keary hasn't merely been recruiting a good horse - he's out to inspire and captivate the woman he believes can be a star. Rosamund agrees to join the circus, and is encouraged by her conversations with Mable Ringling. She is not warmly welcomed by the rest of the cast, and in fact soon begins receiving threats that suggest she should return to England. Rosamund battles to find her place amidst hostility and her own insecurities. She'd be happy to simply make it through the season and leave star billing for those who crave the spotlight. While I enjoyed this story, I was a bit confused about the dual storylines. The portions focusing on Mable's life take place between 1885 and 1929, while Rosamund's story, interspersed with Mable's narrative, is set in a much more concentrated time period, mostly 1926 and 1927. It's not my favorite method of storytelling, although Cambron seems quite drawn to it, as all her releases have used it so far. Maybe she'll switch it up with her upcoming Harry Houdini book, but whether she does or not, I'm looking forward to reading it in 2017!